So you’ve finally decided to take that much-awaited trip abroad and need to start the visa application. But in order to do that, have you been asked to present a flight reservation for visa application? Have you been wondering what that means? In most cases, you’ll find that embassies ask you to show proof of return flight tickets from and back to your home country. This is to ensure that you are actually going to come back to your base and not make an illegal attempt to stay back in the destination country. But paying for flight tickets is an expensive commitment to make when you are not even sure whether your visa application will get accepted and how long it may take. This is where a valid flight reservation for visa application can be of great help to you! WHAT DOES A FLIGHT RESERVATION FOR VISA MEAN? If these new and unfamiliar terms are confusing you, worry not! To explain in simple words, a flight reservation for visa refers to a reserved itinerary or a flight plan to and from the destination country you want to apply the visa for. 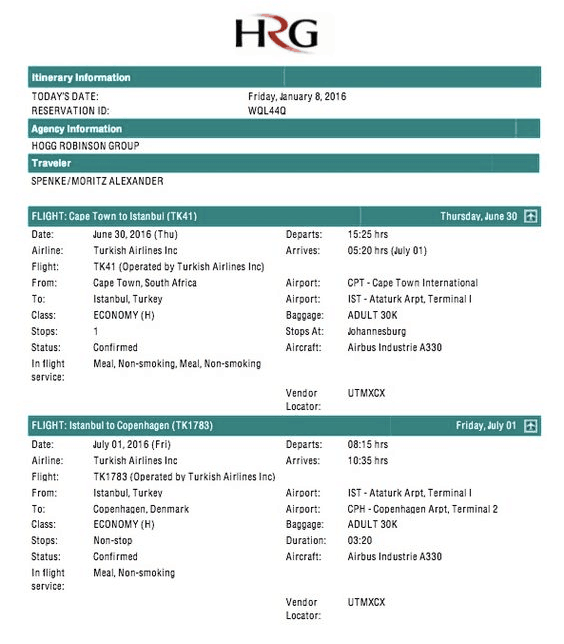 These itineraries are not actual flight tickets, and thus, need not be paid for, except for the minimal service or processing charges to your travel agency. Once your visa is issued, you can either go ahead and confirm the reserved booking (provided the flight is still available) or cancel it and book new tickets for your preferred dates. WHY DO YOU NEED A FLIGHT RESERVATION FOR VISA? Say what you may, but you have to admit that flight tickets are expensive. And imagine having to buy a ticket while applying for a visa and then having your visa application rejected? You are then left with an expensive flight ticket that you have already paid for, but cannot even use! Such a massive disappointment, isn’t it? However, there is a way around for this situation. Instead of directly purchasing a flight ticket, consider purchasing just a flight reservation for visa, which will give you the flexibility to book a flight once your visa gets approved, or cancel the reservation if visa is rejected. A flight reservation for visa basically helps you avoid the huge risk associated with buying a flight ticket without a confirmed visa. Given how uncertain visa regulations are becoming these days, this is a boon that can save you thousands of dollars. As you can see above, a flight reservation document looks almost like a flight ticket, except that it does not have a price tag attached to it. Hence it is also sometimes referred to as a dummy ticket. It comes with a unique reservation ID or code that can be verified from the airlines’ website if the embassy wants. Apart from that, the flight reservation for visa contains all other information that you would normally have on a flight ticket – point of boarding, point of entry, travel dates, etc. All this information is mandatory when applying for a visa so the embassy is assured of your travel plans. 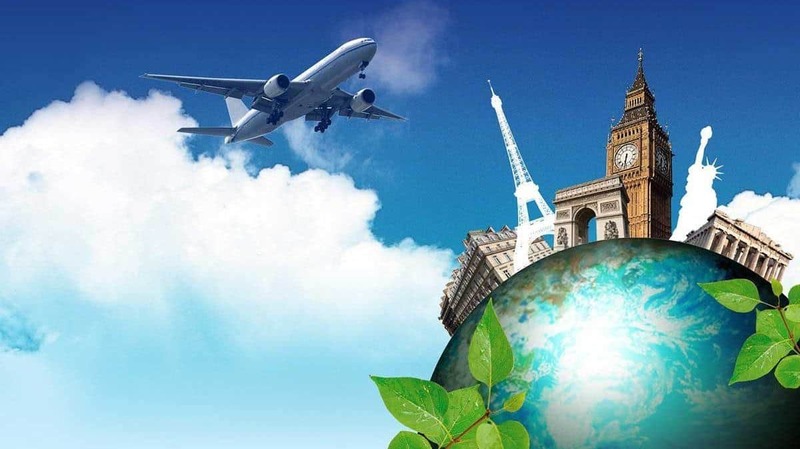 Fortunately enough, most embassies do not expect an actual flight ticket when you are applying for a visa, but rather a return flight reservation to show that you indeed have the intention of visiting their country and returning back to yours. The flight reservation for visa is like an assurance for them. Moreover, embassies also need to confirm the duration of stay mentioned in your application form so the appropriate visa can be issued. Probably not! Purchasing flight tickets is equivalent to a commitment to flying on the dates you booked for. If your visa takes longer than expected to get processed, what do you do with the confirmed flight tickets? A full refund of the price is extremely rare, and you end up losing thousands of dollars for no good. Instead of going through all this hassle, how about opting for a flight reservation for visa application that not only offers you more convenience and flexibility, but also ensure that your purpose is served. Visa rejection rates can be high for certain countries. Hence, most embassies accept a flight itinerary or reservation document as proof of travel on the specified dates. However, do keep in mind that if you are reserving a flight itinerary for your visa application and not actually buying a ticket, it makes good sense to disclose that to the embassy upfront. The flight reservation document helps the embassy to validate what you have mentioned in your application form. So in such cases, honesty is always the best policy. You don’t want to get rejected for forging documents or providing false information. There are technically 2 ways you can get a flight reservation for visa application. One is to find out which airlines offer this service and booking a reservation with them. However there are 2 major issues with this method. Firstly, very few airlines offer this service, so there is no guarantee that you will find one in your route allowing flight reservations without paying for tickets. Secondly, even if you do manage to find one, these flight reservations are valid for only 24 hours in most cases. That doesn’t serve your purpose because by the time your visa application is processed, the flight reservation is already invalid, leading to visa rejection. Clearly not a practical thing to do. The other way to get a flight reservation for visa is through verified travel agents. Do keep in mind that not all travel agents provide this kind of service so you will have to do a bit of research to find one that fits your bill. But whoever it is that you choose, you can be assured that the flight reservation for your chosen airlines will be valid for at least 2-3 weeks, allowing enough time for visa processing. This ultimately increases your chances of getting the visa application approved by the embassy! If you’re looking for a flight reservation for visa at reasonable cost, reach out to us here. Our helpful agents will take you through the simple process and assist you at every step in getting your flight itinerary for visa application. As an added advantage, we also provide hotel reservation for visa application as well as travel insurance for visa depending on the embassy you are sending your visa application to. Absolutely! We can help you with that. Please select the plan, submit the travel details and we will send the reservations to your email within the timeframe you choose.